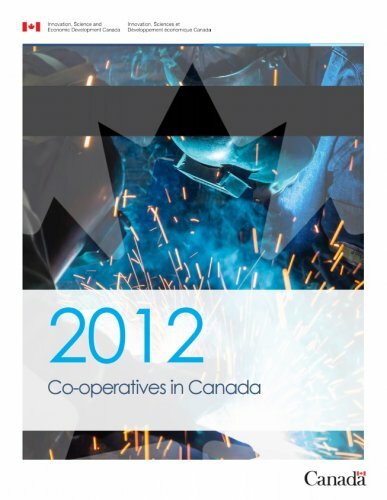 Co-operatives in Canada in 2012 is an annual publication that provides national baseline data on the co-operatives sector. The Government of Canada has been collecting and publishing this data since the 1930s. Co-operatives in Canada in 2012 is the 79th edition and is based on unweighted data gathered from the 2012 and 2011 Annual Surveys of Canadian Co-operatives that are coordinated by the Co-operatives Policy Unit in the Department of Innovation, Science and Economic Development. Data from 5,043 incorporated co-operatives was collected through the survey process, including estimates for co-operatives that submitted a response to the 2011 survey and were in operation in 2012 but did not submit a complete response to the 2012 survey. Of note, co-operative businesses from every province and territory of Canada, excluding Quebec, participated in the 2012 Annual Survey. For Quebec, the provincial government has moved to the bi-annual collection of data on its non-financial co-operatives, and there is no available aggregate data on the province's non-financial co-operatives for the 2012 survey year. To ensure the greatest possible accuracy, and to provide national level data tables, the Quebec data shown in this report is from 2011. The Co-operatives in Canada in 2012 publication classifies Co-operative businesses using the North American Industry Classification System (NAICS). This enables direct comparison of the co-operative sector with other sectors across the Canadian economy as well as sectors in the United States and Mexico who use NAICS to classify their industries.